Ridley Scott's most acclaimed release is arguably the 1979 sci-fi horror hit Alien - a superb blend of eerie scares and outright shock value, as well as a demonstration of some expert practical effects, it remains one of the most iconic films in cinema history even four decades on. 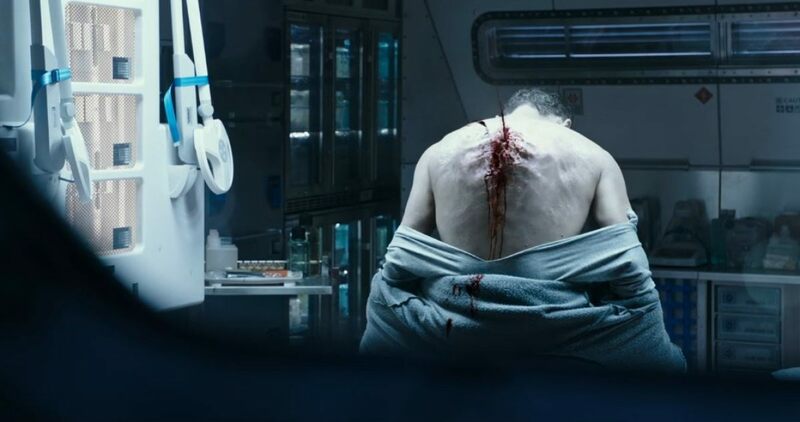 Scott himself returned to the franchise with 2012's Prometheus - acting as a prequel to further explore the film's universe, it was met with general praise for it's performances and effects, though fell short on explaining much of it's overstuffed narrative. 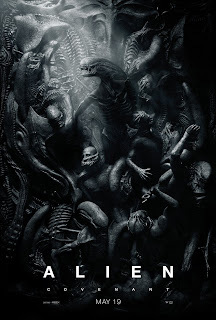 Now, half a decade onward, comes Alien: Covenant: not only acting as a new prequel to explore the franchises universe, but also a much needed successor to Prometheus that helps to elaborate on many of it's unanswered questions. Within the spacecraft Covenant resides a human colony bound for a new potential homeworld - Origae-6. Still seven years from their destination, the crew soon (and suddenly) finds an even closer habitual world boasting potentially better conditions for colonisation; naturally, the mission is diverted to this new locale to explore not only if such findings hold any merit, but also the origins of a mysterious transmission that unveiled it's origins int he first place, only for the crew to soon realise the consequences of a dire mistake. Initially, Alien: Covenant feels like a brand new film over a direct sequel to Prometheus - there is not a huge focus on the characters from the original once things get going, with their eventual presence and the fate of those absent coming to fruition as we approach the middle portion of the story. Indeed, the film does a solid job of not only answering many unfinished plot points from it's predecessor, but also introducing a plethora of new, interesting characters, all of whom are brought to life by some fantastic performances. Michael Fassbender once again stars as David, the renowned android from before, but also as Walter, an updated android based on David's core design. This dual performance that Fassbender subsequently delivers is exceptional in terms of his raw acting talent and the clever effects used to allow the two characters of David and Walter to interact. Just as with Prometheus, Fassbender once again proves himself to be the finest of the film's cast from start to finish. Alien: Covenant doesn't hold back on shock and gore; fans of the originals will be satisfied to see the eponymous frightening alien creatures return with an interesting origin story that helps to bridge the gap between Prometheus and the subsequent classic Alien films. Whilst certain set pieces involving the aliens mauling numerous victims sometimes get a bit samey and repetitive, they still make for some shocking and exciting end results, and this is balanced with a genuine sense of unease when the real threats begin to emerge closer to the film's climax. One common criticism many have acknowledged is the film's lack of innovation; while not a crime by any means, it may disappoint some to see that it feels seldom different from the original franchise, rendering it potentially more predictable for diehard fans. That said, Alien: Covenant still does a great job of tidying up many unresolved plot threads from Prometheus whilst also providing viewers with a solid blend of action and horror, making for an entertaining, thrilling watch for the most part.